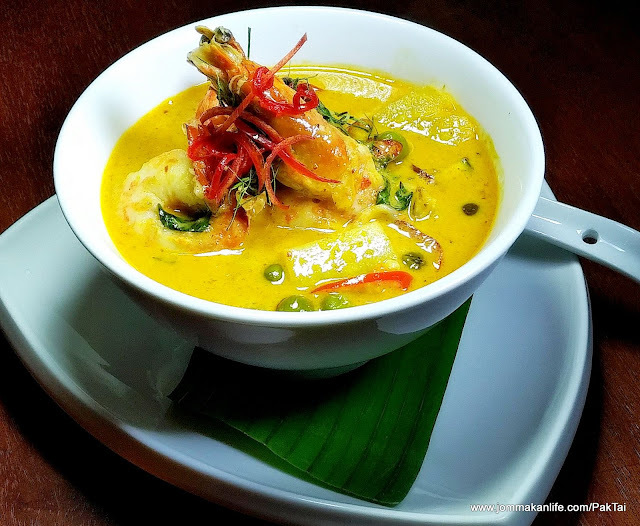 The sunny yellow prawn curry known as Gaeng Kua Sapparod Goong (RM90) is eponymous of Southern Thai cuisine: rich and intensely flavoured with turmeric and coconut milk, the dish is like a burst of sunshine dappled by the refreshing sweetness of pineapple and the citrusy scent of kaffir lime leaves. 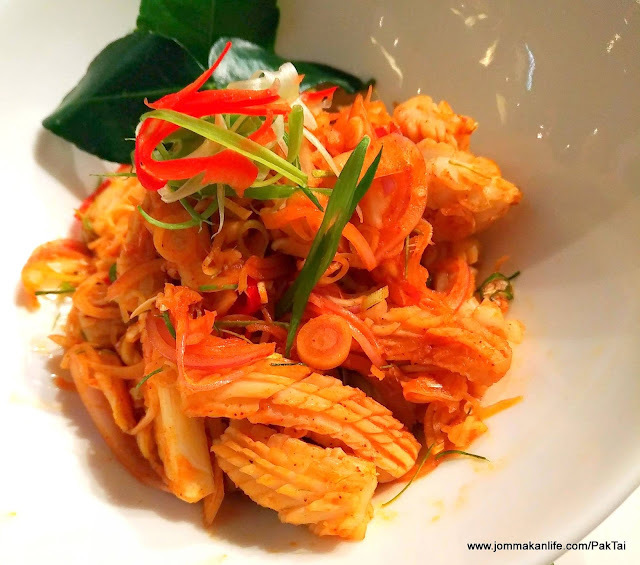 That distinctive offering was one of the myriad of house specialities served at Pak Tai, a new Southern Thai restaurant now open at Starhill Feast Village. 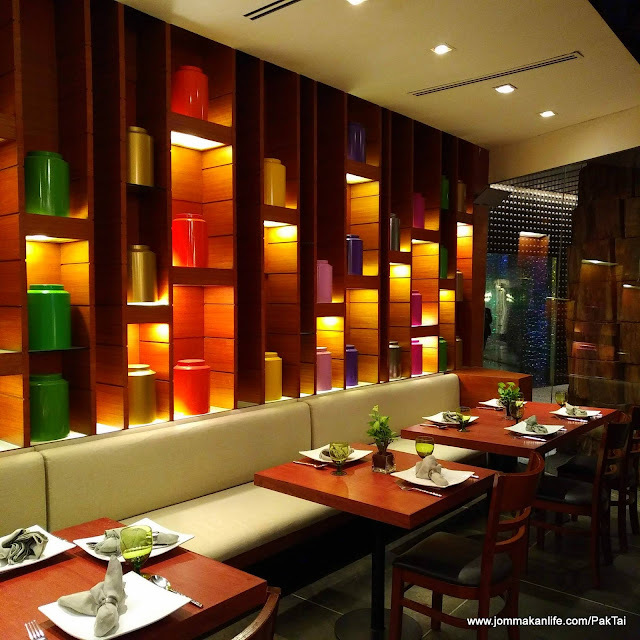 As sister establishment to the original Pak Tai at The Ritz-Carlton Koh Samui, this KL counterpart evokes an amenable sense of laidback minimalism through its contemporary, tasteful surroundings. 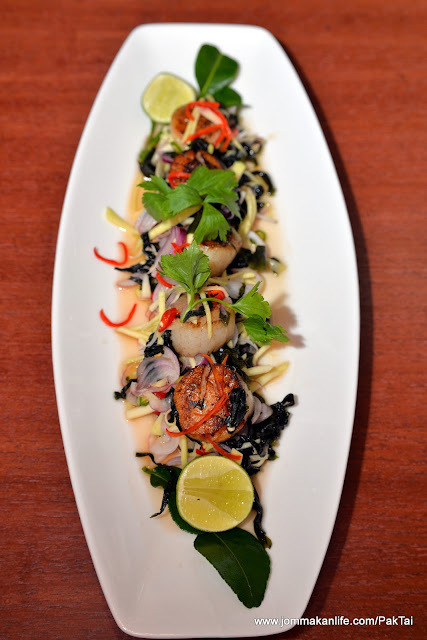 Helmed by Thai native Chef Guk, the Pak Tai menu focuses on the rich, pungent and intensely flavoured temptations of Southern Thailand. 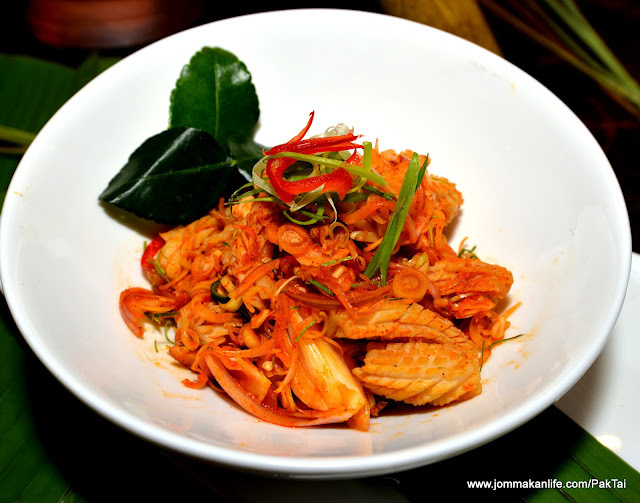 Hot and spicy dishes are the norm and in Koh Samui where the original Pak Tai is located, local ingredients such as coconuts, turmeric, tamarind and roasted spices are used liberally. Under the tutelage of his mother, Chef Guk began honing his culinary skills in the family restaurant kitchen when he was just 8 years old. 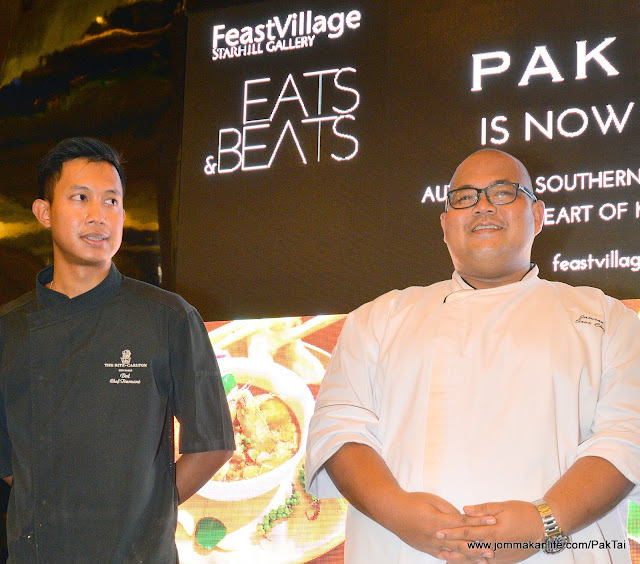 Now as the head chef of Pak Tai, Chef Guk has spent months exploring various towns in the south of Thailand, curating and mastering traditional recipes, and learning about local ingredients. 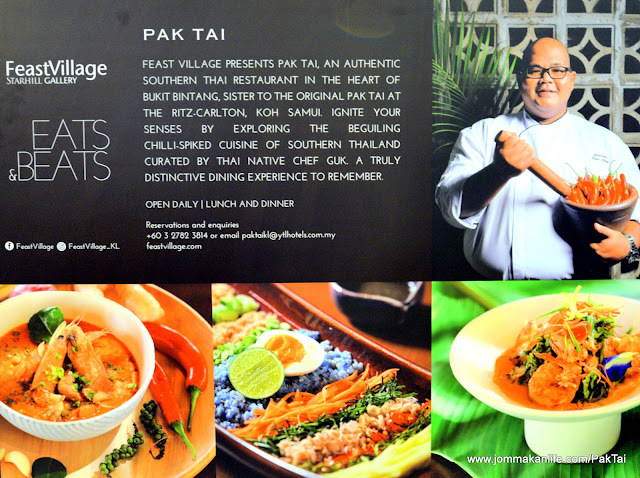 Stepping up to the plate, his culinary discoveries artfully meld with a dash of inventiveness and creativity at Pak Tai. 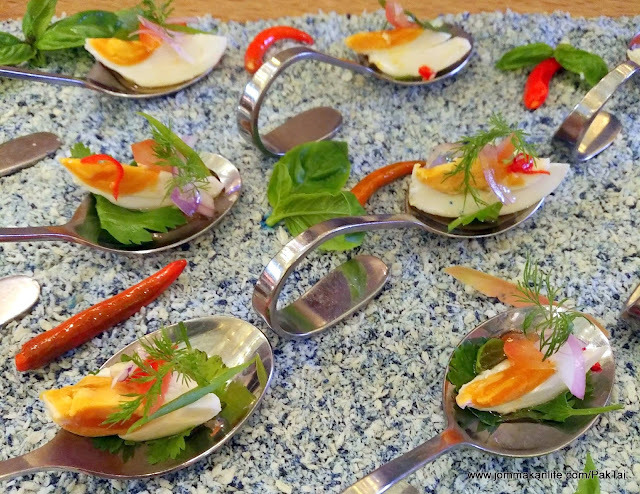 The results, we can testify, are palate-pleasing indeed. 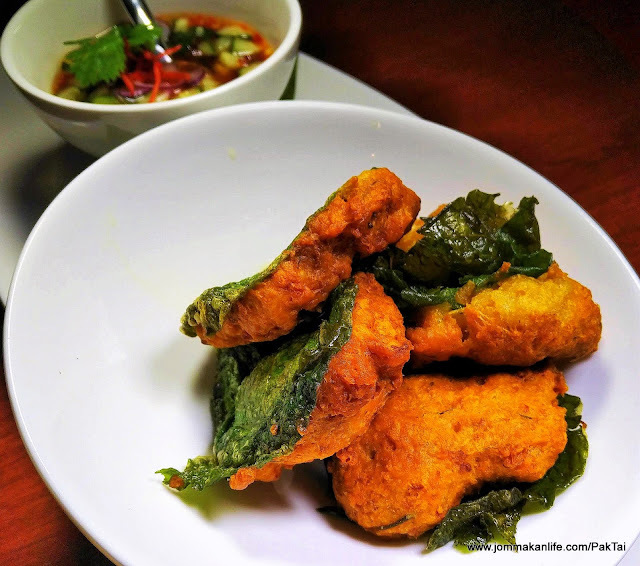 Our choice of curtain-raiser Tod Mun Bai Cha Plu (RM50) proves on-point as each of the springy fried shrimp cakes comes adorned with a whole sweet basil leaf, giving it a nice herbaceous nuance. Enjoyable on its own or dip into the accompanying sweet chilli sauce. 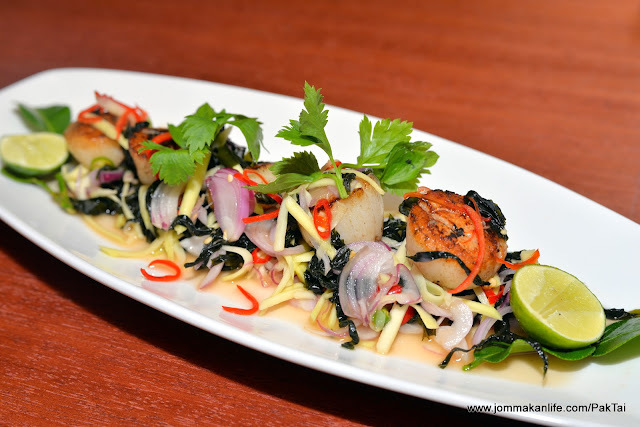 Our meal's positivity is raised further by Yum Sa Rai (RM55), a tantalising salad of scallops and seaweed tossed with sliced red onion and lime dressing. 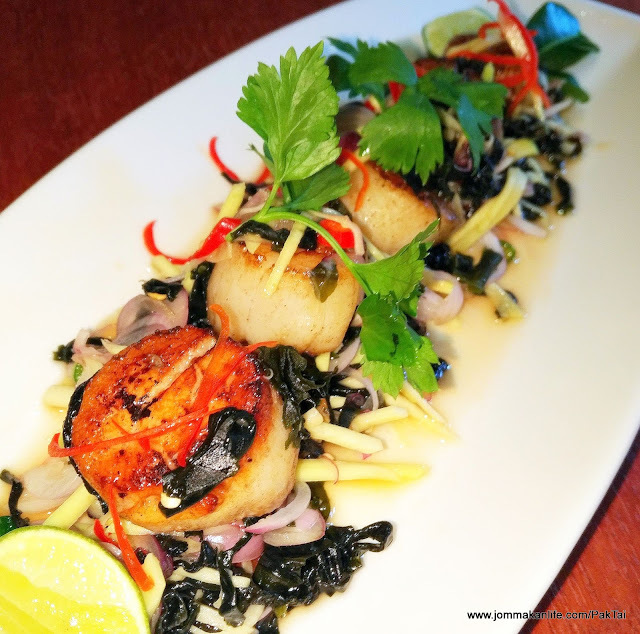 Kudos to the chef for searing the scallops to spot-on doneness, retaining the natural sweetness. 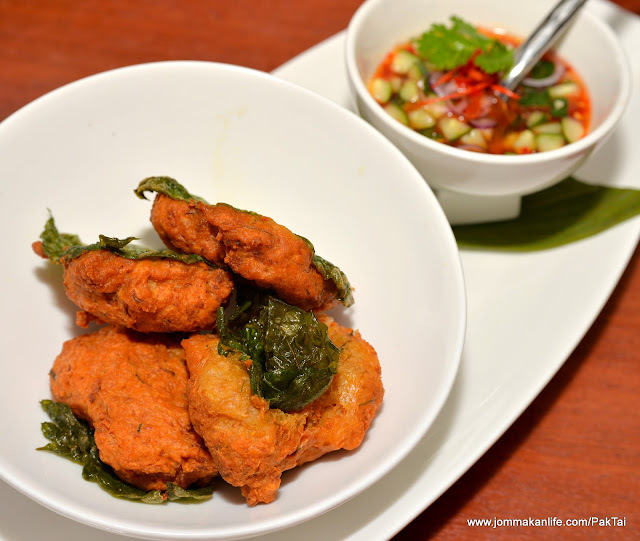 Their tender texture contrasts nicely with that of the crunchy seaweed, young mango and onion. 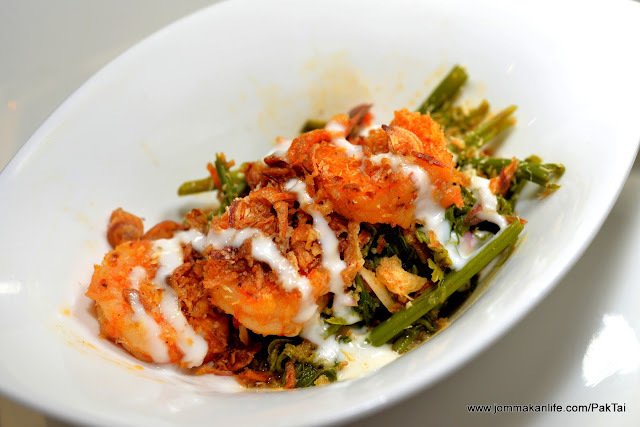 Other zingy salads in the menu include Phla Pla Meuk (RM45), squid salad with roasted chilli dressing, lemongrass and kaffir lime leaves alongside Yum Pak Kood (RM65), wild fern salad with prawns, coconut, red onion and lime juice. 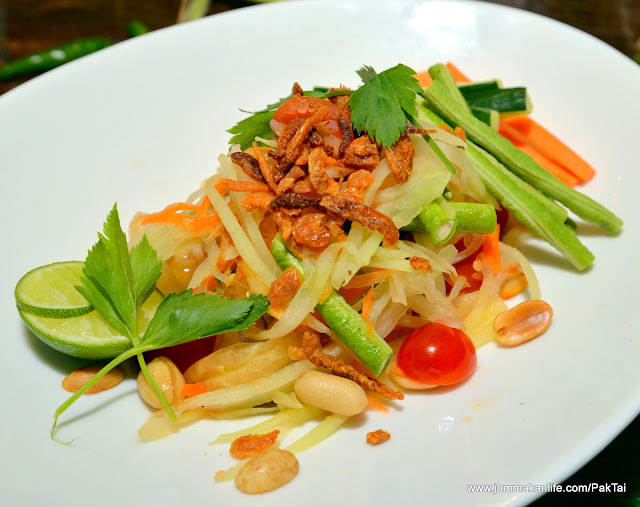 Salty and tangy with just a hint of sweetness, the ubiquitous Som Tum (RM55) — young papaya salad with long beans, peanuts, dried prawns and lime juice is a decent albeit underwhelming tastebud-tickler. 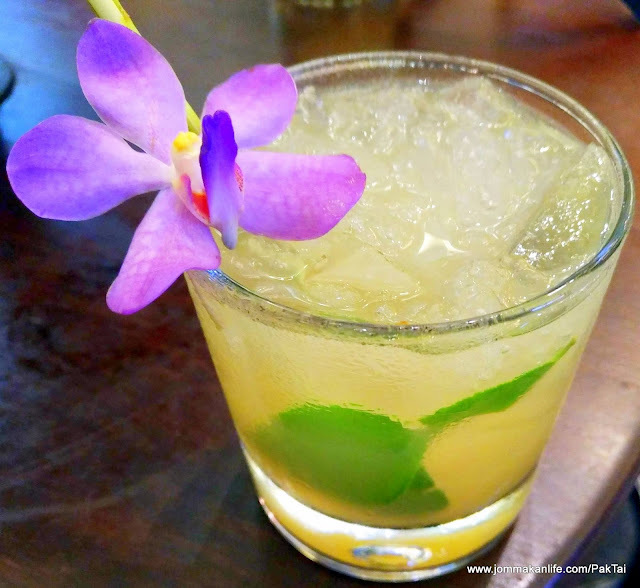 After my first visit to Koh Samui, I've grown partial to Tom Kati Talay (RM55) and I'm happy to discover the Pak Tai version doesn't disappoint. 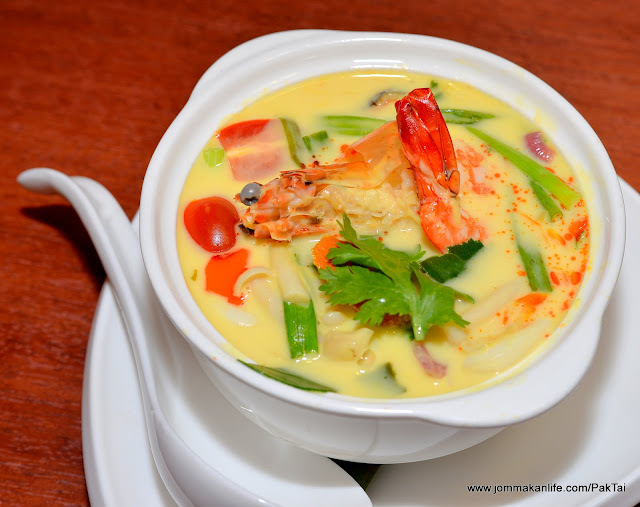 Every sip of the creamy white seafood coconut soup with turmeric and kaffir lime leaves is salubrious; its stealthy heat setting our tongue and throat alight as we lap the broth up. 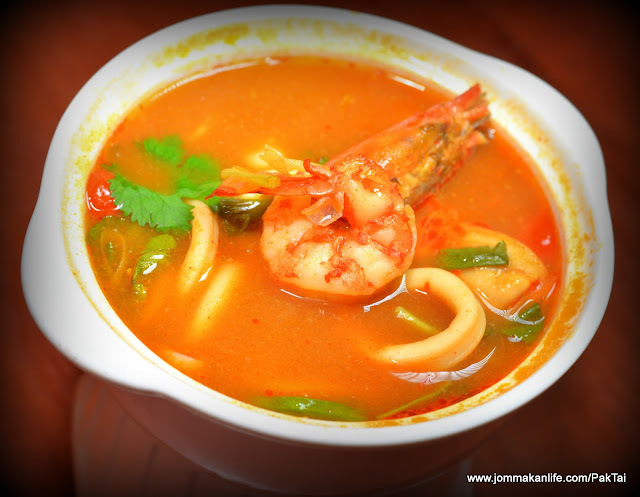 More common but no less pleasing is Tom Yum Goong (prawn RM50, seafood RM55), that world renown hot-sour-spicy red soup with straw mushroom and lemongrass. 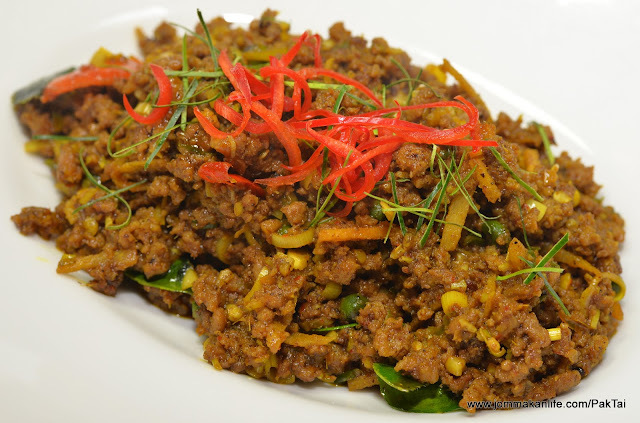 Hot and savoury, the offering of Khua Kling Nua (RM45) or spicy minced beef with turmeric, herbs and kaffir lime leaves underscores the typical characteristics of Southern Thai food. Although we find the dish a tad salty for our palate, the assertive accents of the fresh herbs undoubtedly lend plenty of 'oomph'. 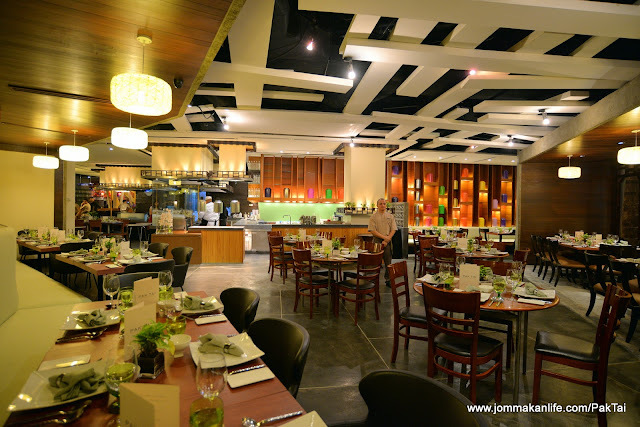 When it comes to fish, Pak Tai does a stellar job of showcasing some notable catches. 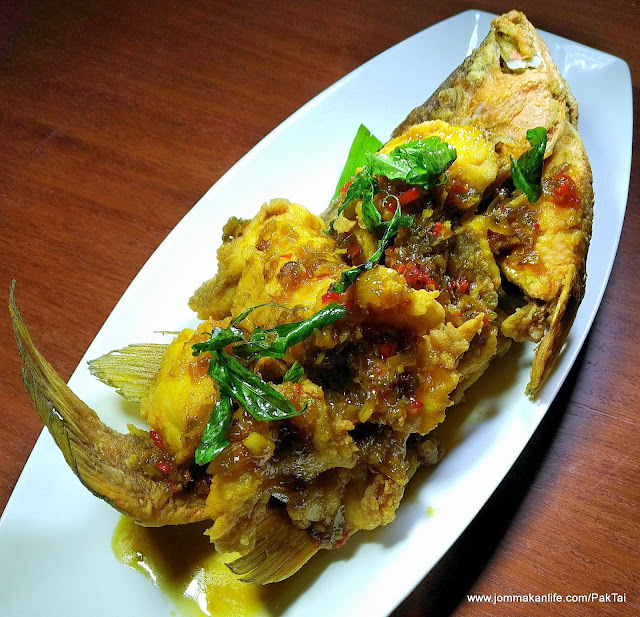 Our fave has to be Pla Kapong Dang Tod Kamin (RM125), superbly crispy red snapper scented with fresh turmeric & herb, and Pla Kao Tod Rad Prik (RM105), a fleshy grouper with sweet chilli sauce. 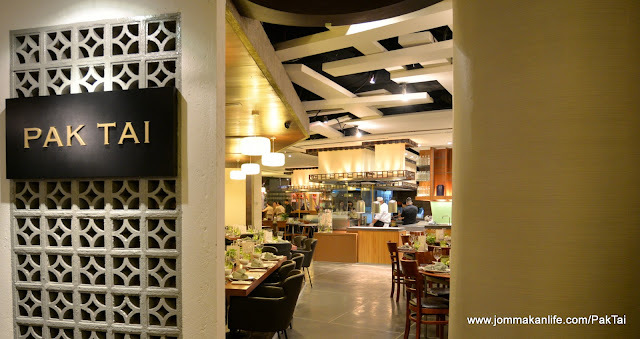 Such a worthwhile departure from the usual steamed fish found in most eateries. 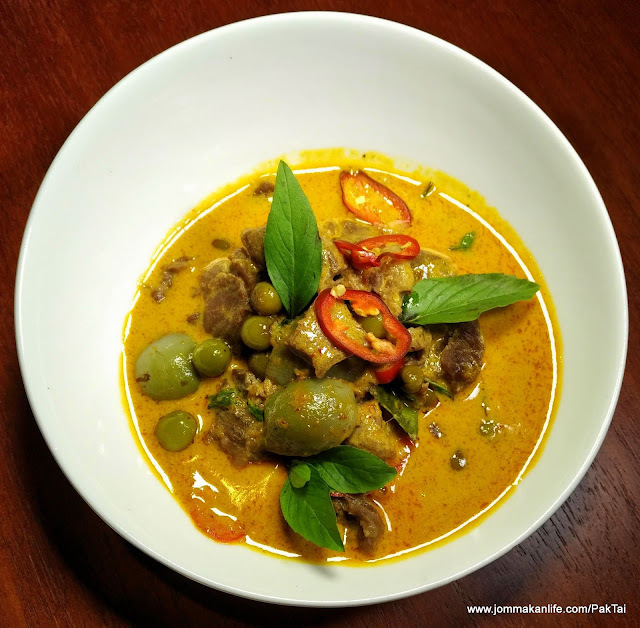 Another speciality from the south is Massaman Nua (RM105), a deeply flavourful, cardamom-scented curry enriched with ground peanuts and coconut milk. 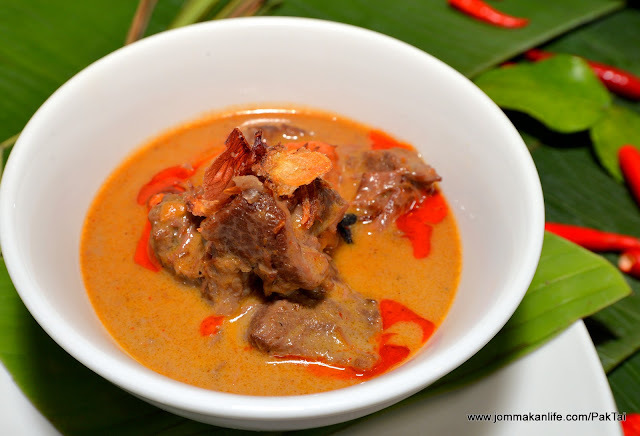 At Pak Tai, it's cooked with Wagyu beef cheek so the resultant serving is an irresistible milieu of tender meaty texture in aromatic spicy, nutty gravy. 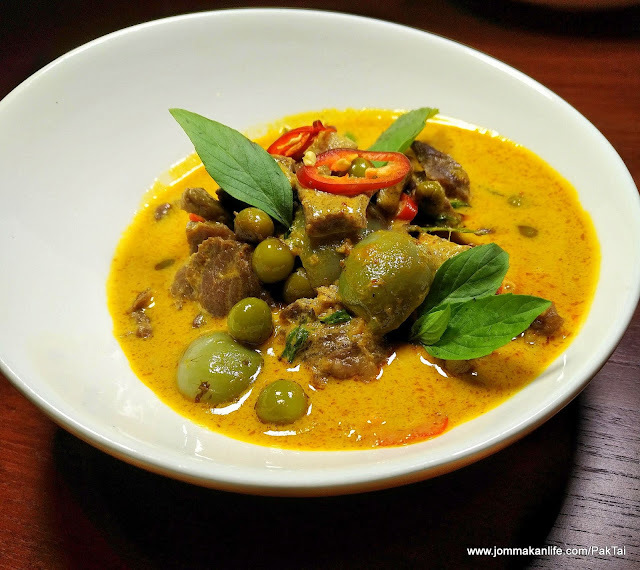 In a similar vein, there's also Gaeng Deng Nua (RM85), a lush spicy red curry with Angus beef, two different types of rotund Thai eggplant and Thai basil. 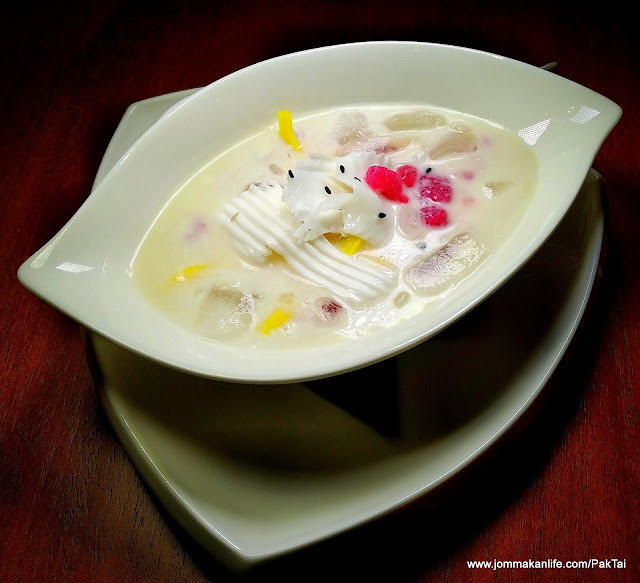 A potent creation best savoured with plain rice to appreciate the dish's complexity. 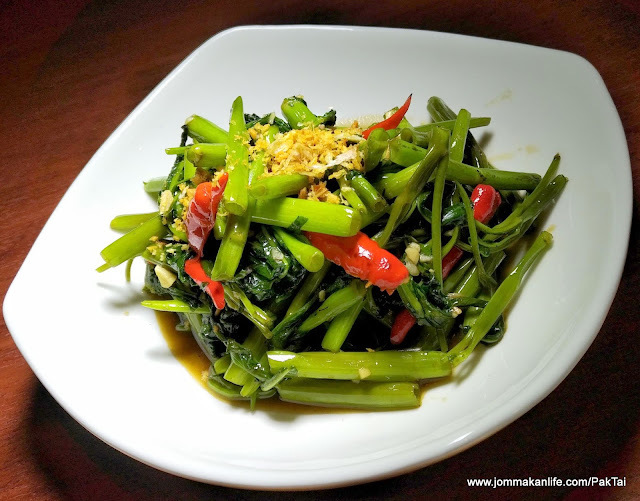 When it comes to vegetables, we suggest complementing your meal here with Pad Pak Boong (RM30), stir-fried kangkung (water convulvus) with garlic and chillies. 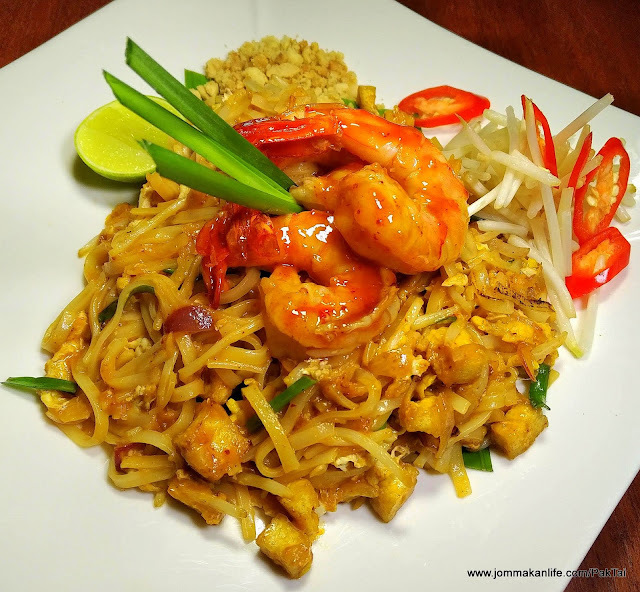 For a simple but delicious quick lunch, try Pad Thai Goong (RM55), Thai-style fried flat rice noodles with prawns, egg, chives and beansprouts. 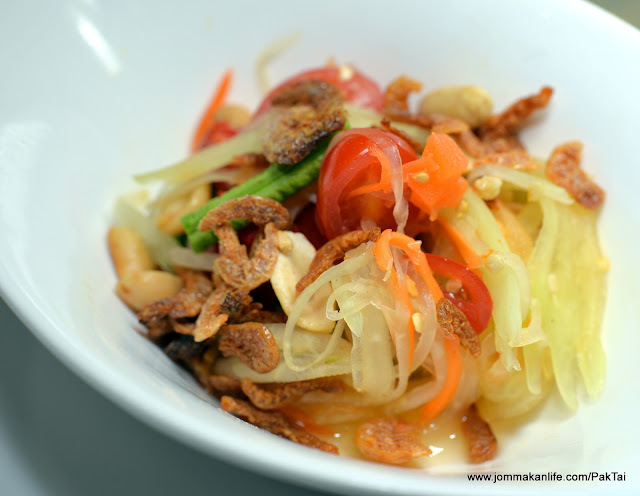 Condiments such as crushed peanuts with dried chilli flakes are served on the side for you to add in as desired. 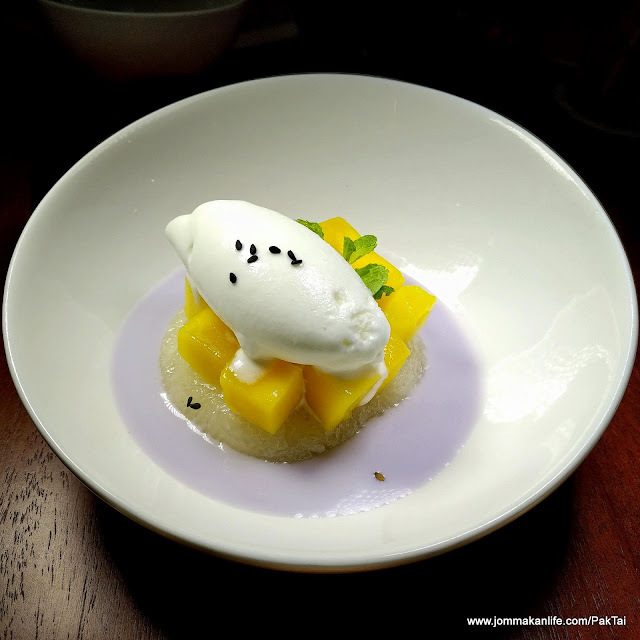 Dessert can sometimes make or break a restaurant especially for the sweet toothed. 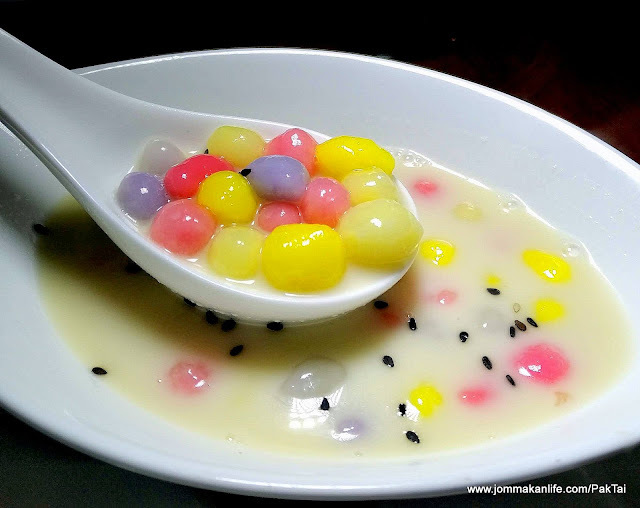 Happily, the variety of sweet treats at Pak Tai lives up to expectations especially the colourful Bua Loy (RM15), tiny pearl-size steamed rice dumpling balls in coconut milk and the rather basic but surprisingly likeable Kanom Jaak (RM25), chargrilled chewy rice dumplings with coconut in palm leaf. 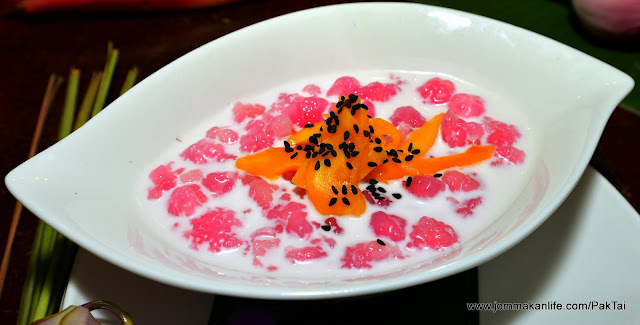 Failsafe options such as Khao Niaw Mamuang (RM25), fresh mango with sticky glutinous rice and coconut cream and Tub Tim Krob (RM15), diced waterchestnuts in tapioca starch, jackfruit strips and young coconut flesh are bankable enough to leave you in a sweet mood.